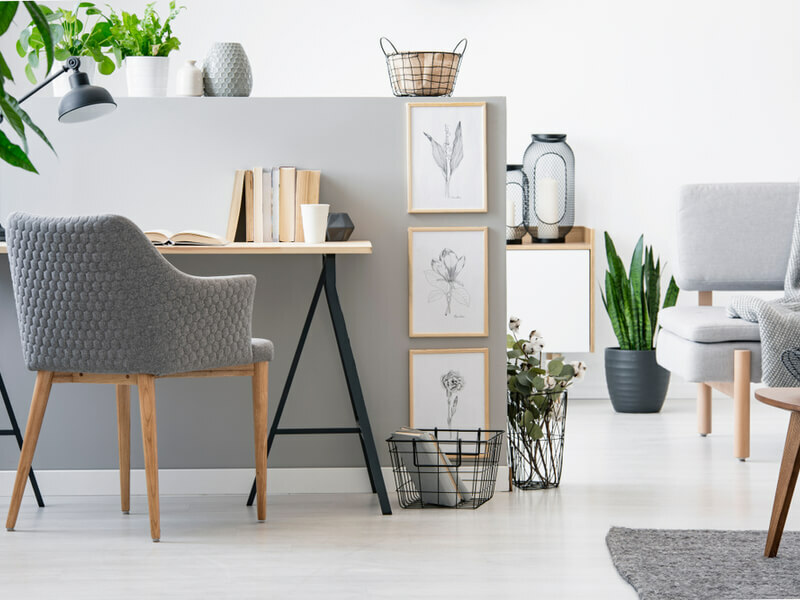 If you asked architects about the biggest change to design trends over the last decade, chances are they’d tell you “open floorplans.” While architecture used to lean towards “the more the merrier” when it came to the number of rooms, today’s families live differently. Instead of lots of small spaces, home design now revolves around large community spaces. Of course, while offering plenty of space for families, open floorplans also have a few drawbacks. Wide open spaces don’t exactly lend themselves to privacy. What’s more, open layouts can pose interior design issues. A lack of delineation between spaces can be frustrating. Where does the dining room end and the living room begin? Enter broken plans. A way to define spaces without losing the wide open feel of your home, broken plan components can either be permanent or temporary. If you’re struggling with decorating your open layout home or you’re designing one from scratch, broken plans might be the happy medium you’ve been wanting. Here’s how to score the look in your home. 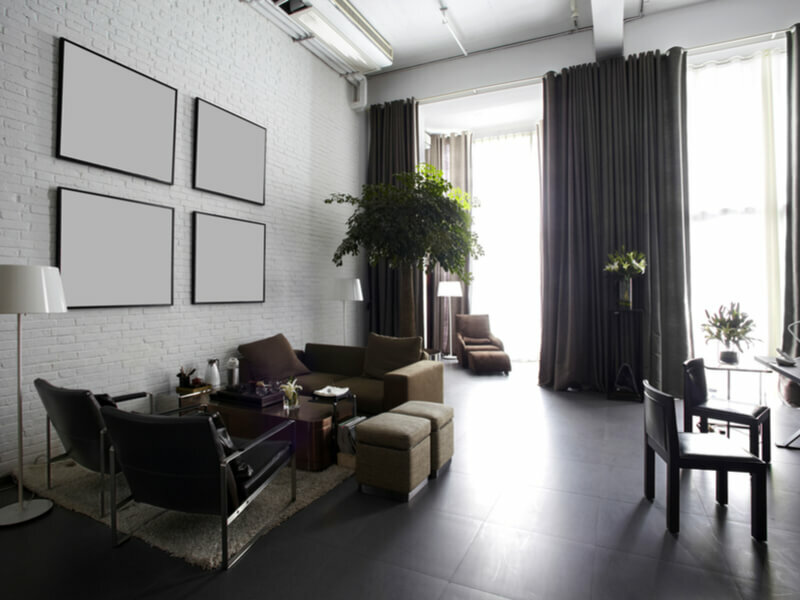 Half walls have always been used as a way to break up rooms without affecting sight lines and light. 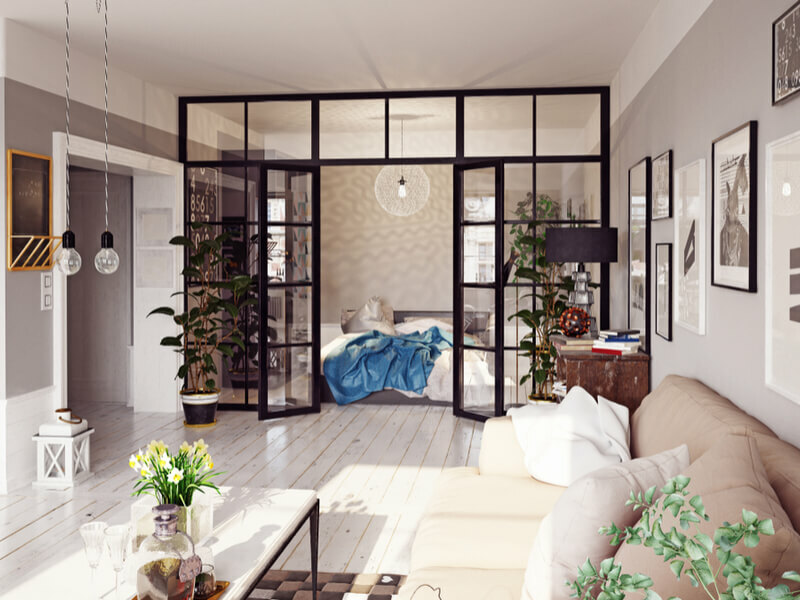 They’re making a comeback in the age of open layouts, but modern half walls aren’t the dated component you might remember. Instead of blank walls, they can become major statement pieces. A half wall covered in brick or shiplap, for example, can add some much-needed texture. Half walls can also be made into shelving, adding more storage for books, blankets and even toys in a playroom. Looking for more privacy but loving the light in your open layout home? Glass walls provide broken plans with clear definition while keeping your home bright and spacious. Glass walls can be frosted or etched for even more privacy, which makes them perfect for bathrooms and bedrooms. Or try using a glass wall to partition off your stairs instead of drywall or a heavy railing. Sometimes known as “conversation pits,” sunken rooms have their advantages. They can help break up plans and designate specific areas, even without walls. Usually dug a couple feet lower than other living spaces, sunken rooms are an interesting addition to an open layout. A sunken living area, “library” or toy area helps keep space separate without walling off a room. This helps light flow freely and makes any space feel bigger and more open. Most of the load-bearing posts and pillars in homes are hidden behind walls. But decorative pillars — that is, posts that are for show and not necessarily strength — can be a low-key way to break up an open layout. Posts can be placed to create the suggestion of a different room without having to resort to doors and walls. Use them to delineate between the living room and kitchen, or as a way to add architectural interest to an open-plan basement. You can choose from a variety of finishes, from warm, rich wood to modern metal. Not sure if you want to permanently break up your open floorplan home? Use temporary elements to test the trend or give yourself some definition that can be changed when necessary. Low bookcases, for example, are a great way to see if a broken plan works for you. Use them to test out different layouts and simulate permanent features. 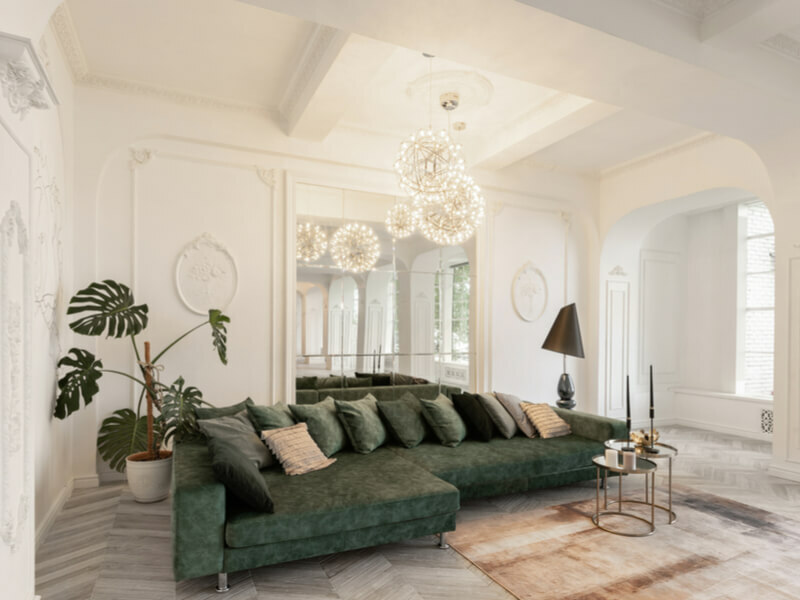 You could also try using screens or even different area rugs to break up your space and decide if you want a more permanent solution to your open plan problem. If you want to have your cake — er, open layout — and eat it, too, broken plans are your best bet. When you’re designing your own home, work with your architect to choose the right places to define each space. And if you currently live in an open concept home, try a few temporary elements to see if you like the way a broken plan looks and functions. With the right design elements, you’ll score the best of both worlds. The post Open Layout? Why Broken Plans Are Your Best Bet appeared first on Freshome.com.